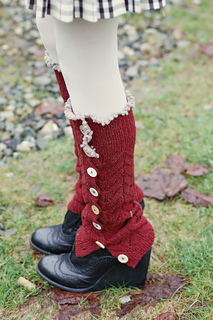 Note on ease: These legwarmers are meant to be worn with approximately 0-2” negative ease. Legwarmers are knit from the bottom up. 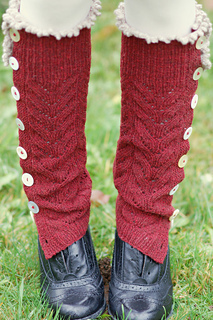 The stitches at the top of the legwarmer are then placed on hold while you pick up and knit the buttonhole side band. At the end you finish the top of the legwarmer with a decorative picot bind off in a contrast color (optional). 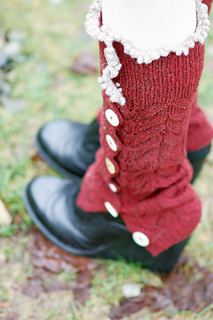 I chose to use mismatched antique buttons for my legwarmers.